Lucy Wolfe, our CarePlus Baby Expert shares her top 10 steps to the perfect bedtime routine. Decide what time bedtime should start and bear in mind that “bedtime” is the time your child is asleep, not when you start the process, so you will need to start about 45 minutes or so before you think your child should be asleep. Try to avoid television or electronics within an hour of bedtime. Although it may appear helpful in relaxing your child it can have negative consequences to the quality of their sleep and their ability to go to sleep with ease. Ideally, finish any feeds in the living space so that you don’t encourage a feeding and sleeping association. Consider including a soothing bath to round off the day. In the absence of the bath, do a quick face wash and teeth brushing and then go to your child’s bedroom for the rest of the bedtime sequence. A bath may not suit every family so decide what is appropriate for your family and then know that it doesn’t need to be every night anyway. Everything else to do with your child’s sleep should happen in their bedroom - this is very important in ingraining positive sleep associations. Even if the room is small, commit to the process in the room that your child will sleep. Once in the bedroom dim the lights, pull the curtains and consider using white noise or music on in the background, at the volume of a shower to help regulate the heart-beat and relax your tot. Turn this off before they are asleep; don’t allow to be on until asleep as this can become another reason for night time activity. Get your child ready for bed: change the nappy, put on the pyjamas and into their sleeping bag if you use one. Sleeping bags are a great sleep aid - they help to avoid your child being too hot or too cold if they are inclined to kick off the blankets and they are also a great sleep cue “this is my costume for sleep”. Do some quiet reading or story-time with your child, encourage them to look at the pictures, modulate your voice, it’s not the words, but sometimes the melodic way that you say them. This quiet non-stimulating time, with plenty of contact, can switch them from alert to sleepy. If your child is very active and books don’t suit, consider low impact play-stacking cups, shape sorting, wooden puzzles for example. In the early days - under 6 months, your routine may be quite short, 10-15 minutes in duration. From 6 months onwards you may need to provide 20-30 minutes of a wind-down. 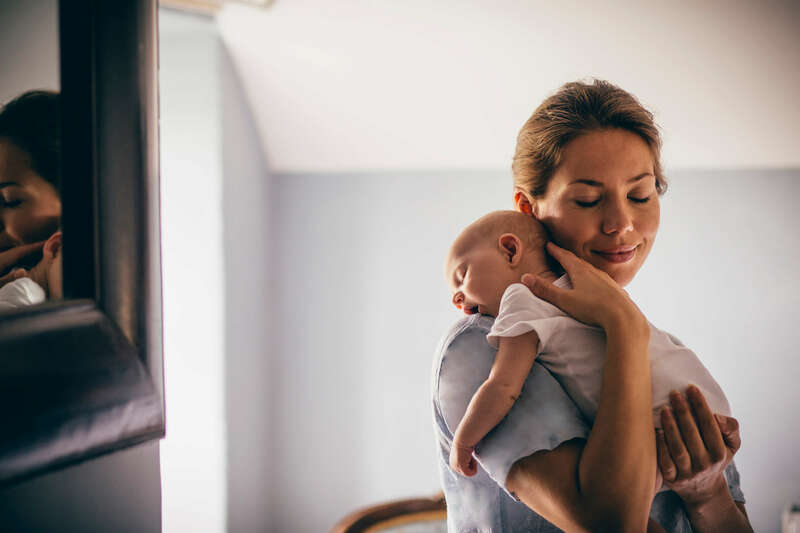 Have an end to your routine, a certain phase that you use or turning off of the lights or an “I love you” ritual that signals the end of the routine and the start of your child needing to go off to sleep. Encourage your child to be more awake than asleep going into their cot so that you reduce the risk of unnecessary nighttime activity. If you have any further questions feel free to call into your local CarePlus Pharmacy to meet with your dedicated instore Baby Advisor.